If you’re pregnant and planning a vacation or have to travel for work, there are several steps you can take to make travel safer and healthier. 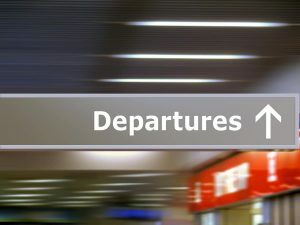 It’s best to start your planning and preparations at least several weeks before your departure. But before booking that trip, it’s essential that you talk to your OB/GYN and get his or her clearance and advice, especially if you’ve experienced any complications with your pregnancy. Travel with a copy of your complete medical record. Ask your OB/GYN to provide you with a copy of your medical records, including all test results, ultrasound reports and lists of any medications you’re taking while pregnant. It may also be helpful to have a letter from your OB/GYN that clears you for travel, especially if you’re travelling by air later in your pregnancy. If you have any health conditions like asthma or diabetes, it’s also important to get a complete copy of your medical record from your primary care physician or other specialists who you work with to manage your condition. Make sure you’re protected against the flu. Though the highest number of influenza cases usually occur between October and February, you can still get infected at other times of year. This year, a second strain of flu caused illness in a large number of people across the country in April. Flu can cause more serious illness when you’re pregnant according to the Centers for Disease Control and Prevention (CDC), including premature labor, so it’s a smart precaution to get a flu vaccine at least two weeks before you travel if you haven’t been vaccinated yet this year. Get contact information for an OB/GYN at your destination. If you have a pregnancy-related medical problem while travelling, it’s important to know who to call for care. You can ask your doctor for recommendations, check with your insurance company or work with a health advisor who can connect you with an experienced physician at your destination and help you get an appointment. This is especially important if you’re travelling overseas, because it can be difficult to find an experienced physician who speaks English in an emergency. Protect yourself against dangerous blood clots. The risk of deep vein thrombosis is higher for pregnant women because hormones elevate the clotting factors in your blood. This problem can be compounded by being dehydrated. You should get up and walk a bit every hour to increase your circulation. If that’s not possible, flex, point and circle your feet every hour to increase blood flow and prevent blood clots from forming in your legs. Stay hydrated by drinking water throughout your flight or ride. This also lowers the likelihood of Braxton-Hicks contractions. Think twice about sea travel. Although a cruise can be a safe travel option for pregnant women, if you’re never travelled by ship before, it could cause seasickness or accentuate the nausea of morning sickness. Do not take any seasickness medications without the approval of your OB/GYN. If you do decide to embark on a cruise, check with the cruise line to make sure there is an experienced doctor on board in case you experience pregnancy complications and research the ports of call to check that there is easily accessible, quality medical care on shore. Whether you’re travelling a few hours out of town or across the globe, planning ahead and asking your doctor about any issues or concerns you have can help you have a healthier trip.